A seminal Long Beach rapper who died after suffering two debilitating strokes at age 41 was remembered Saturday with a funeral in the Queen Mary Dome in Long Beach. 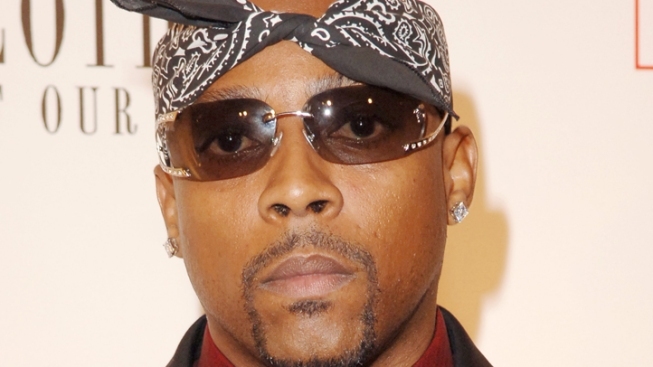 Nate Dogg, an associate of Snoop Dogg and Warren G, died March 15. His real name was Nathaniel D. Hale. Nate Dogg, who sang in the New Hope Baptist Church choir, started performing with Warren G and Snoop Dogg at Long Beach Poly High School under the name 213. But he dropped out at age 16 to join the Marine Corps, and served for three years before returning to a music career. He signed with Death Row Records in 1993 and was featured on several releases by the slain rap star Tupac Shakur. Like many rappers, he was in and out of legal trouble. He made a name for himself on Dr. Dre's 1992 hit album "The Chronic," followed by a breakthrough performance alongside Warren G on ``Regulate." He later released several solo albums, including "G-Funk Classics Vol. 1 & 2." He suffered a stroke in 2007 that paralyzed him on his left side. The next year, he suffered another stroke. His cause of death was reportedly congestive heart failure.